This has been my mantra for 2017. What do you spend your time beholding? Where are your eyes fixed? What is your heart full of? Are we beholding the things of this world or are we beholding God and His Word? Are we so fixed upon our circumstances that we miss God at work? I believe we fix our eyes on Jesus, we know Him more, we BEHOLD Him through the pages of His Word. This isn’t a religious rule or obligation. This is about a relationship. When we spend time in God’s Word, we can’t help but know God more. But, maybe God’s Word is a mystery for you. Maybe you feel guilty when you don’t spend time in reading and studying His Word. Maybe you haven’t figure out a way to study that brings you joy. Maybe you’re picking up a book and forgetting Who the author is. So, I want to share some of my favorite tips & suggestions for helping you to LOVE spending time in God’s Word! We behold God through the pages of His Word. Do you want to know God more? Read the Bible. Remember, this isn’t like reading other books. This isn’t a textbook. This is about knowing God and being known. This is about never growing old of the Greatest Love Story of all time. Say good-bye to excuses. We are not focusing on “doing it right.” We are focusing on God and knowing Him more. We are not focusing on guilt or how many days we’ve missed in our reading plan. We are fixing our eyes on JESUS, the author and perfecter of our faith. Start with prayer. Don’t leave God out of your quiet time. I know that sounds crazy, but invite Him in. Start with Him. Ask the Holy Spirit to speak to you, to convict you, to encourage you, to help you. I believe this is a prayer He loves to answer. Grab a cup of coffee or tea, a cozy blanket and find your favorite chair. We are women, we enjoy comfort. I like to think of my comfy chair as a big hug from God every morning. Use a favorite mug and have a hot cup of something delicious. 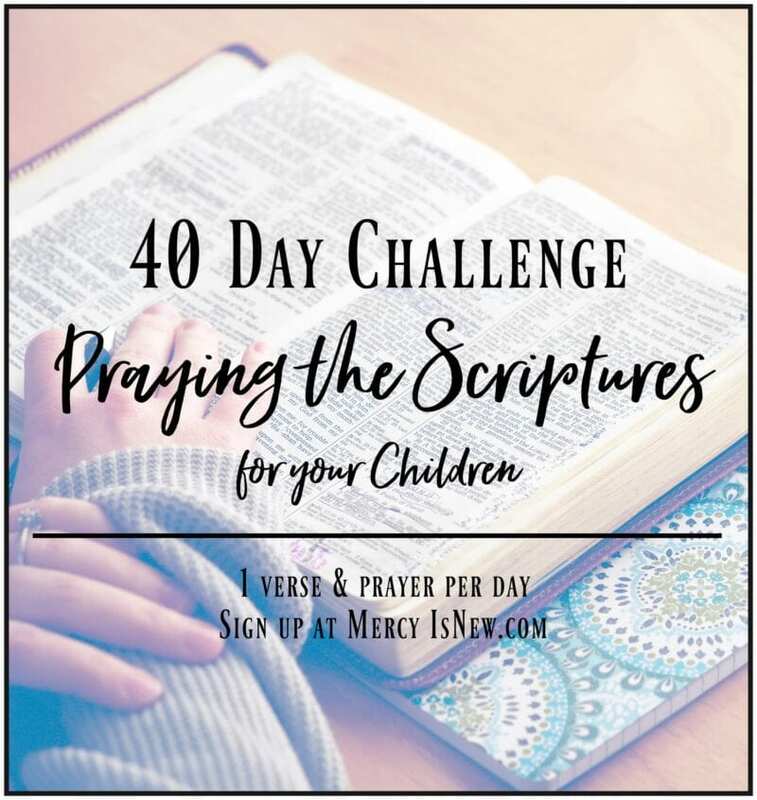 Try out different methods of Bible Study! You can learn about 7 Simple Methods of Bible Study here! I *know* that one or more of these will appeal to you and truly help you to love studying the Bible! Methods such as: word study, apple method, verse mapping, and more! Pray through the Bible. This is my favorite method of prayer, but it’s also my favorite way to read God’s Word. Praying the Scriptures has changed my prayer life. Don’t make it hard. Read a passage, what jumps out at you? Ask God to do that in your life. Read the words aloud to God. They are HIS Words, of course they are right and good words to pray! You will receive a Simple Guide to Praying the Scriptures when you subscribe to my blog. Or check out Praying the Psalms or 40 Verses to Pray in the Waiting. 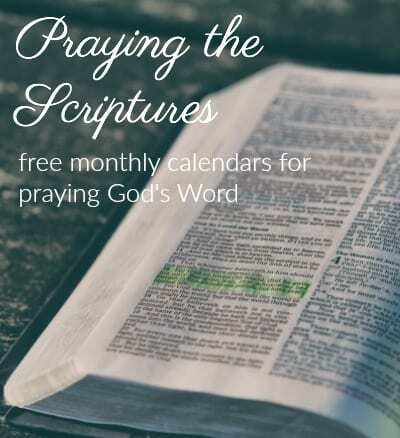 I also have free monthly praying the Scriptures calendars! Consider the gift of God’s Word. I have spent time in a country where the Bible is not allowed. I have witnessed with my own eyes precious saints of God hiding a few PAGES of God’s Word so that they would have SOMETHING. When we consider what an immense TREASURE the Word of God is, we can’t help but want to read more and more of it! Join a ladies Bible study group! It is important to have time that you spend with God on your own, but it is also important to not neglect the fellowship with other believers. This is one of my favorite ways to study God’s Word! Iron sharpens iron! If you aren’t in a local church that offers weekly Bible study times, get a few friends together and go through a book together as friends! You can even choose one that has videos so no one has to feel called to teach during your time together. Write the Word. One thing that I started doing last year was writing out the Word of God as I read and pray through it! Why do we write things down? We write down things that are important to us, things we want to remember. 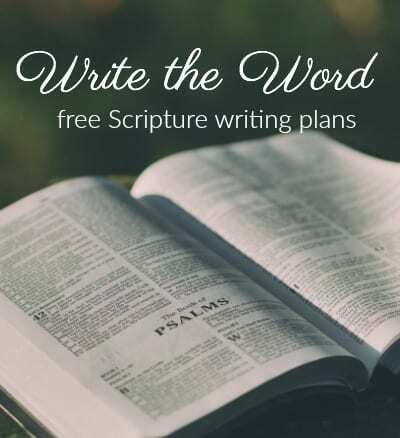 So, why not write down God’s Word? I have a video telling a little more about this and a page full of FREE resources for writing various books of the Bible here. Try something new! Maybe your Bible reading just needs a little spark of color or creativity. None of this is necessary, mind you. But God is the most creative Being possible. So I happen to think He loves the trend in Bible Journaling. Try a Bible Journaling Kit from Dayspring. Watch a few videos and try something new! Step out of your comfort zone. 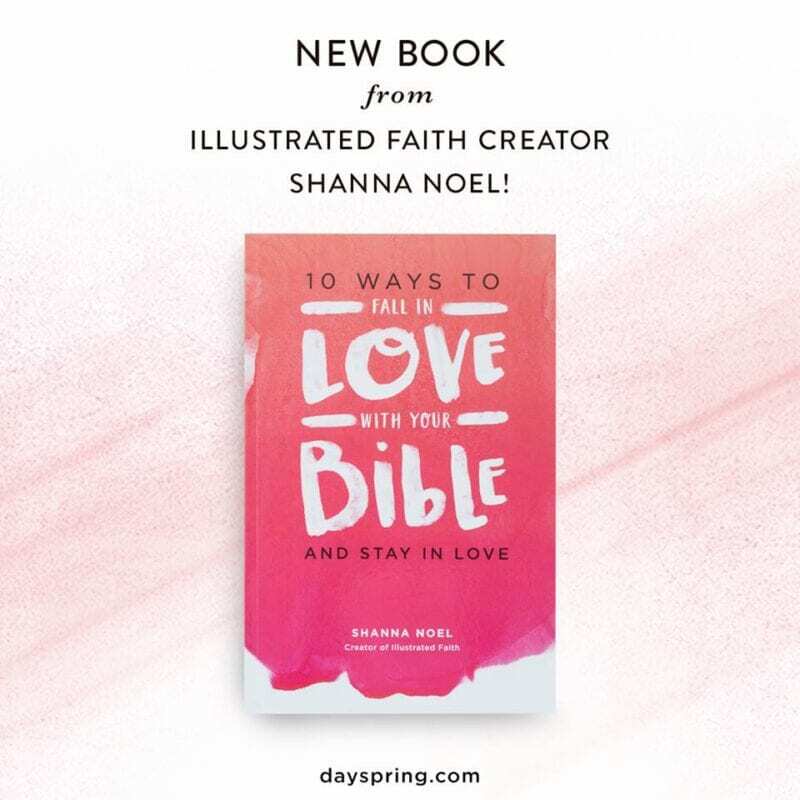 Read the brand new book 10 Ways to Fall in Love with Your Bible by Shanna Noel. I was SO blessed to get an early copy of this book and I LOVE it. I finished the book in just a few short days! Y’all know how much I love God’s Word. Sharing resources with you all to help you love the Bible is one of my passions. So I was VERY excited to read this book. It’s fabulous. 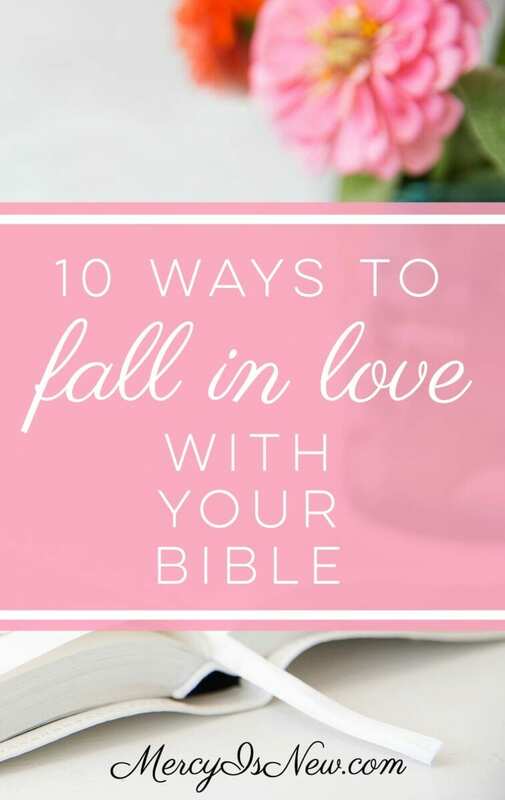 I shared with you 10 of my favorite ways to LOVE the Word of God, but Shanna shares her ideas for helping you to fallen love with God’s Word in this brand new book! I”m so excited for you all to read this!